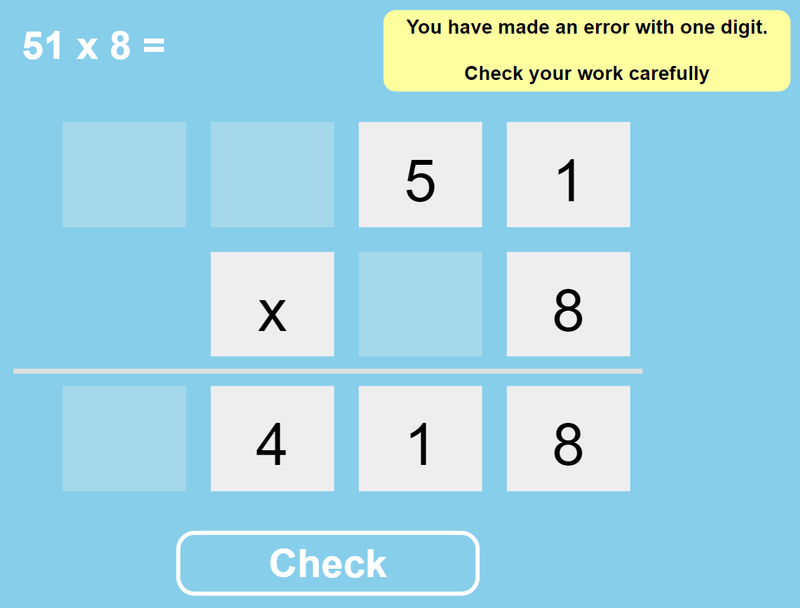 Check Multiplication calculations using this page. Click on the digits to change the question and answer. Click Check to see if you are correct, made a minor error or need to look more closely.